Three Sheep Online can help you launch your online presence. Expand your reach, establish credibility, and get new customers with a new website. When you build your business website with Three Sheep, you get access to a real, live marketing expert for help with promoting your business. Request a free consultation today and get a complimentary design for your website. 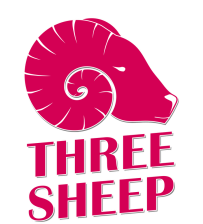 Three Sheep Online is a service of Three Sheep Consulting, LLC. Located in Norfolk, VA, and serving businesses in and around Virginia, Three Sheep is an experienced marketing services firm that provides expert marketing planning, project management, creative strategy, copywriting and other essential marketing duties for small businesses, startups and other new ventures.